Microsoft and Activision gave away $1 million in cash prizes to the best eight Call of Duty: Ghosts teams in the world. LOS ANGELES – While much of the nation was glued to television sets over the weekend watching NCAA basketball, a different type of March Madness dominated the Internet. Activision and Microsoft’s third annual Call of Duty Championship took place at the LA Event Center in LA Live, just across the street from the Staples Center, where eSports history was made last October as over 13,000 League of Legends fans packed the arena (and over 21 million watched live online). 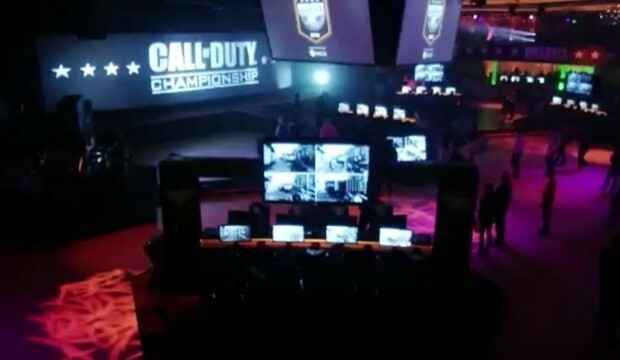 The Call of Duty eSports event was a much quieter affair live, as it was closed to the public and had a few hundred spectators; but the competition was consumed worldwide by millions of gamers via livestreaming on Major League Gaming’s MLG.tv, CallofDuty.com and Xbox Live. Alongside NCAA basketball teams, Call of Duty hashtags dominated Twitter over the weekend as the global phenomenon of eSports once again showed the power of video games as spectator sport – even when going head-to-head with a traditional sports institution like March Madness. Thirty-one of the best Call of Duty: Ghosts teams traveled to Los Angeles to partake in a three-day tournament, playing Infinity Ward’s first-person shooter on Xbox One. (There were 32 teams chosen but one had to pull out at the last minute.) There was a true international representation, much like the Olympics, at the event with teams from six continents. The global competition had regional competitions in qualifying events conducted by the professional competitive gaming organizations of MLG, Gfinity, and the Australian Cyber League (ACL). Teams like NSP from South Korea, European Champions TCM Gaming from UK and Brazil 5 Star from Brazil, competed against notable teams from North America like CompLexity, EnVyUs, and MLG U.S. Champions Strictly Business. The eSports tournament began with a round-robin style pool play among eight groups of four teams. The top two teams from each group advanced to a 16-team double elimination bracket. CompLexity was the last four-man team standing by Sunday evening, eliminating Team EnVyUs 3-0 in the Finals. 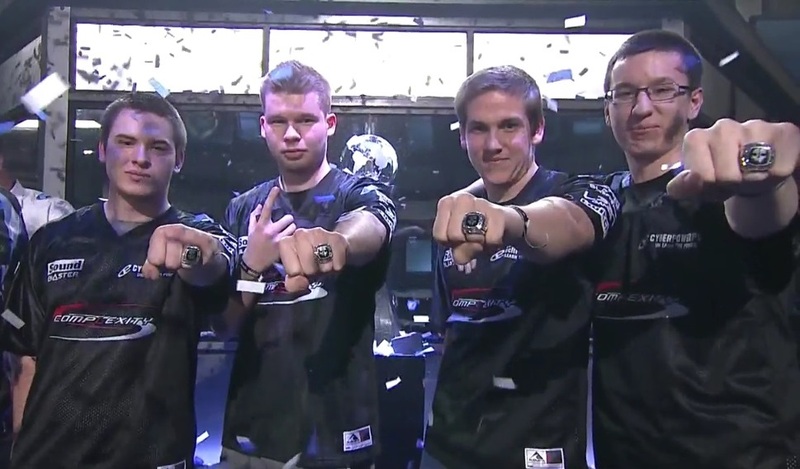 CompLexity won $400,000, while Team EnVyUs pocketed $200,000. OpTic Gaming took home $120,000 for third place and Strictly Business Gaming won $100,000 for fourth. Using a mathematical system similar to what NCAA Football used to use for the BCS, the rest of the top eight included Australian team Trident Dotters ($70,000), United Kingdom team FaZe Competitive ($50,000), The Rise Nation ($35,000) and VexX Revenge ($25,000). While traditional sports thrive because of huge television contracts and nationwide exposure, eSports has exploded the past few years with the introduction of livestreaming. Companies like Twitch and MLG have capitalized on connecting today’s young male gaming demographic with live broadcast-quality action involving top eSports video games like Call of Duty, League of Legends, Dota 2, StarCraft II, Counter-Strike and FIFA 14. In addition to making money from tournaments – MLG will host a PAX Invitational on April 11 in Boston – Call of Duty and other professional gamers earn a decent living through livestreaming their practice sessions and getting money from sponsors who line their jerseys with brands much like NASCAR drivers. The key differentiator with eSports is that it targets the elusive 12-34 year old male demographic that doesn’t watch appointment television, let alone commercials; but will log an average of up to two hours watching big eSports competitions. This audience will even spend up to 45 minutes watching their favorite pros practice. Livestreaming also allows for live chats and interactions with players during practice sessions. Make no mistake about it, pro gamers are real athletes. Many teams live together in Gaming Houses and practice daily. Some Call of Duty pros said they spend eight to 12 hours a day playing the game, in an attempt to get better. The team aspect of eSports is evident when watching the best teams compete across four stages at the Championship event. There’s a team captain and each player takes on a specific role. Constant communication via Plantronics headsets keep the players on target as they play through three different game types on a variety of maps in the next gen shooter. 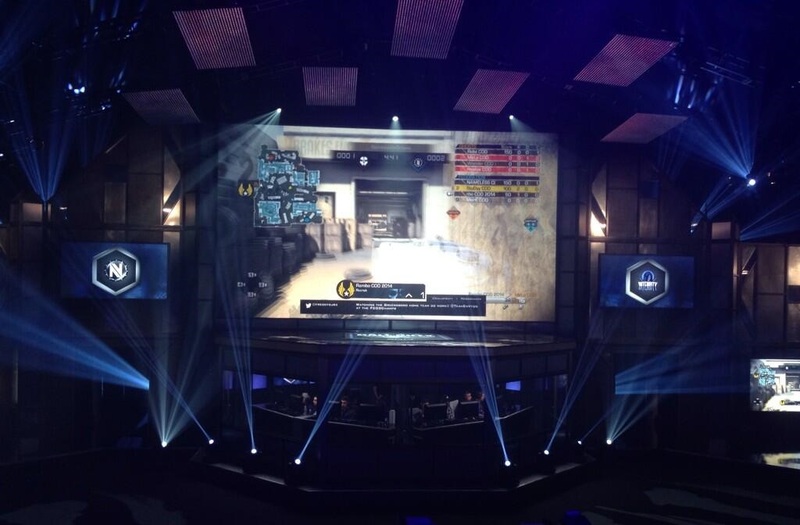 Some of the leading fan community sites had representatives at the Call of Duty Championship. These guys wear the jerseys of their favorite players and teams and ask for autographs and photos with the pros. Most of the players are in their late teens and early 20s, as the hand-eye coordination required to be the best of the best is something that players lose as they get older. Having such a young influx of talent also helps to attract the young demographic of fans. Unlike traditional sports like football, baseball or basketball, there’s an actual possibility that young kids who excel at video games could one day compete for huge cash prizes and make a living playing games like Call of Duty. It’s not an easy avenue to the pros, but it’s something that’s attainable. Many of the Call of Duty pros I talked to were once just really good players who watched the pros practicing and at competitions and they eventually made the leap. Getting paid to play video games for a living; to many it’s a dream, and to some it’s a way of life. ESports continues to break new records with livestreaming, even as most of the world is oblivious to the “future” of sports around the globe. In ten year’s time, as these eSports fans grow up, March Madness will mean something completely different than basketball. Work off that Christmas cheer with some Madden!